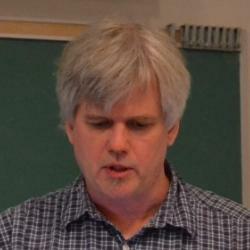 John Lewis is an adjunct faculty member in the machine learning group. He also works as a researcher at Weta Digital. Students: please do not contact me unless you are specifically interested in machine learning and/or computer vision. Please see my personal website, or this page on the computer graphics site for sample publications. John's research area is mathematical algorithms for computer graphics. In the past he has worked in academic and industrial research labs, as well as in the film industry at Industrial Light and Magic, Disney, and elsewhere. He has published in journals and conferences including SIGGRAPH, Transactions on Graphics, and others, and has credits on a couple films including Avatar, The Matrix sequels, and Forrest Gump. Several of his algorithms have been adopted in the film and games industries and incorporated in commercial graphics software packages. John's current research interests include computer vision and machine learning applied to graphics, and design and composition from a computational point of view.